Future of Ingosstrakh at stake due to shareholder clash | Russian Legal Information Agency (RAPSI). MOSCOW, April 20 - RAPSI. Minority shareholders of Ingosstrakh insurance company have complained about malpractice in the selection process of the company's board of directors. The new list of Ingosstrakh board candidates was approved on Thursday, with the annual shareholders' meeting scheduled for May 10. However, the list of 26 names compiled earlier has been replaced later with one of only 8, all of whom representatives of Oleg Deripaska's Basic Element, the majority shareholder of Ingosstrakh, said Daria Vetrova, a member of minority shareholders council. The board's decision will be disputed in the court, said managing partner of Bartolius legal firm Yuly Tai, who represents PPF Investments, the equity group handling the minority shareholdings. "We see it as an overthrow of the company's management. This is an outright breach of law and the board of directors is responsible for that," Tai said. Meanwhile, a source close to the majority shareholder explained to PRIME business news agency that the list of candidates was changed due to violations committed by shareholders when proposing their candidates. Ingosstrakh is a leading Russian insurance company operating on the international and domestic markets since 1947. The company has offices in 220 Russian cities and towns, as well as subsidiaries and representative offices abroad. Its authorized capital amounts to 2.5 billion rubles. Jersey-based PPF Investments holds a 38.46 percent stake in the company. The majority of the shareholders are companies affiliated with Basic Element. 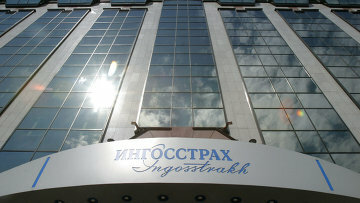 VTB head Andrei Kostin confirmed in late March that VTB is negotiating the purchase of a minority stake in Ingosstrakh. 11:14 20/04/2012 Minority shareholders of Ingosstrakh insurance company have complained about malpractice in the selection process of the company's board of directors.